The right centerpieces will really make your wedding reception beautiful. It is not just flowers that make lovely decorations, either. Nothing creates a romantic ambience quite like these candle centerpiece ideas. Candles have a lot to offer for wedding decorations. They are versatile, romantic, and inexpensive. They can be quite an easy element to work with for the bride who wants to make her own centerpieces, which is an added bonus. 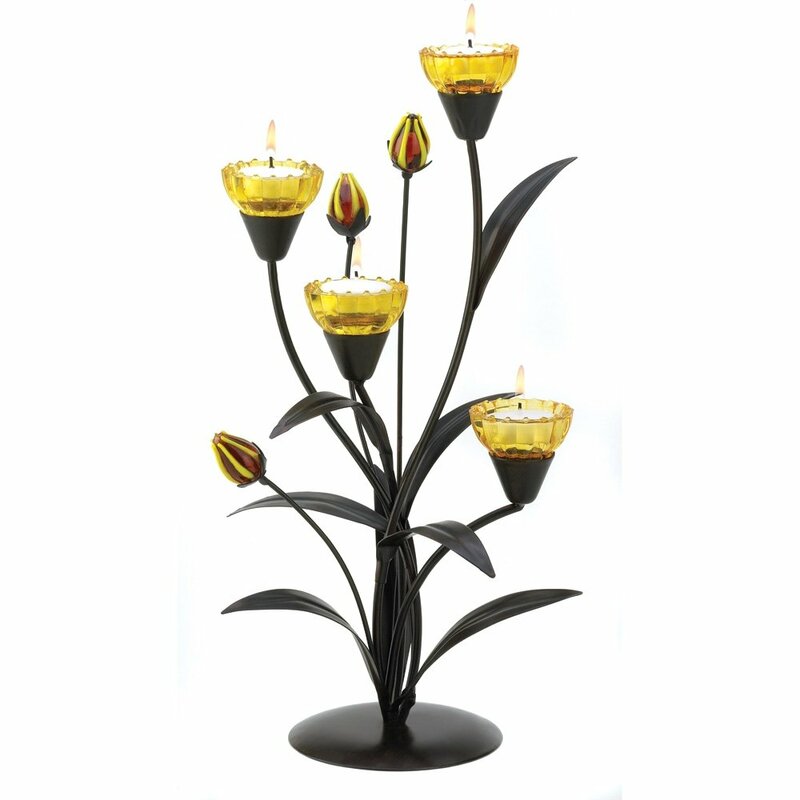 In fact, your own problem may be narrowing it down to one favorite candle centerpiece design. For classic weddings, try traditional candle centerpieces, such as ornate crystal candelabras. These are a wonderful addition to a ballroom wedding, and have a great feeling of timeless elegance, much like a set of pearl earrings. To make it even more opulent, try draping some strands of crystals around the candelabra. Bring in some color with scattered rose petals around the base of the candelabra, or even with individual flowers in tiny vases in front of each place setting (it makes a great favor!). Candles are not only for ballroom receptions. If your wedding will be outdoors, a tall chunky candle in a hurricane lantern is ideal. It can be decorated according to the theme or location of your wedding. Having a beach wedding? Lay out striped blue and white tablecloths with a crisp nautical feeling. Sprinkle a pile of sand in the center and nestle the hurricane into it. Then finish it off with an assortment of shells, sand dollars, starfish and coral arranged around the base of the lantern. For a garden wedding, you could take the same starting point with the hurricane candle centerpiece, and instead of the nautical artifacts, surround it with a beautiful floral wreath. Or arrange a bed of greens and red berries around the hurricane lantern for a Christmas wedding. It is an amazingly versatile type of centerpiece. Candles also make fantastic centerpieces for rustic weddings. 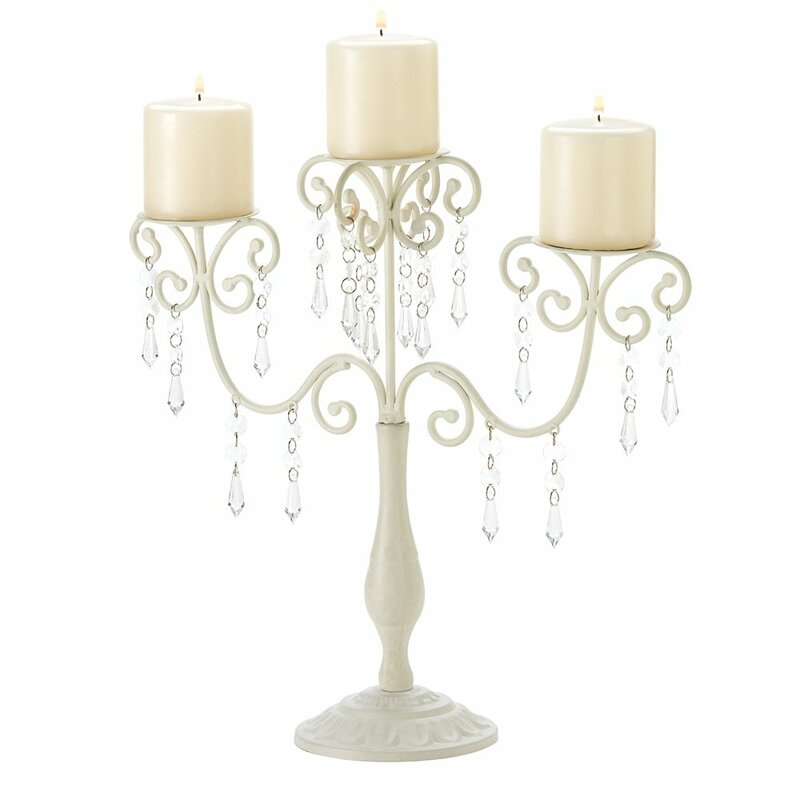 Seek out unusual candelabras, such as distressed wrought iron stands with multiple levels. You can use candles that match or wedding colors or motif. Simple ivory candles would be pretty for a Tex-Mex reception over colorful linens. Or use candles in a deep yellow color for a Tuscan mood, especially when used in a room decorated in rich shades of red, brown, and yellow. Red candles on a rustic candelabra would feel just right in a barn wedding. Some venues do not permit open flames without water (mine did not), which brings us to floating candles. They are both beautiful and safe to use. A simple but elegant centerpiece would combine floating candles with gardenias in a large porcelain bowl. 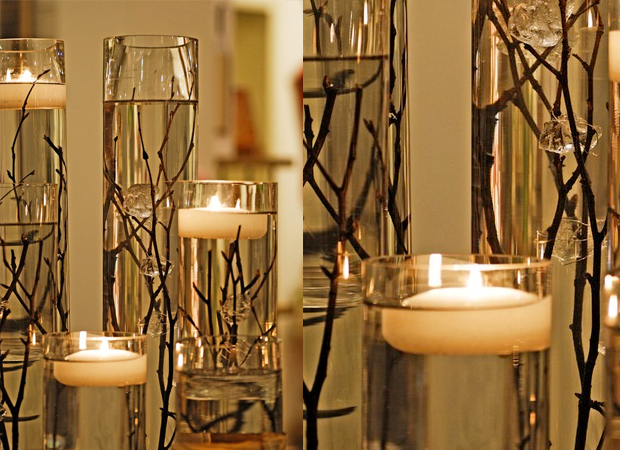 Or select floating candles for your centerpieces that are created in a special shape. Flower shaped candles are especially romantic, and look feminine and pretty when the bride is wearing a romantic gown with delicate pearl earrings. Fruits and cute bugs like dragonflies are also great options for candle shapes. There is a candle centerpiece to suit any style of receptions, from traditional to whimsical to modern. Candles will always add romance and beautiful light to your reception, which makes them a natural for weddings. Have fun designing the candle centerpieces that are perfect for your special day.